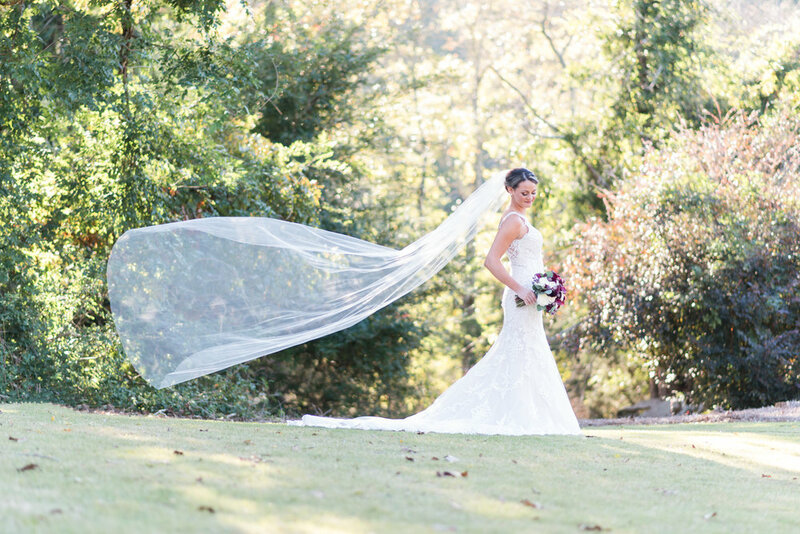 Brad and Brittany’s story began when Brad was hired by April, Brittany’s oldest sister. According to April, at their lunch interview, Brad was polite, a complete gentleman, and told her no matter what, he was thankful and blessed for the opportunity. That struck a chord with April, and Brad was hired. Brittany was also working for the company at the time, so they became co-workers. 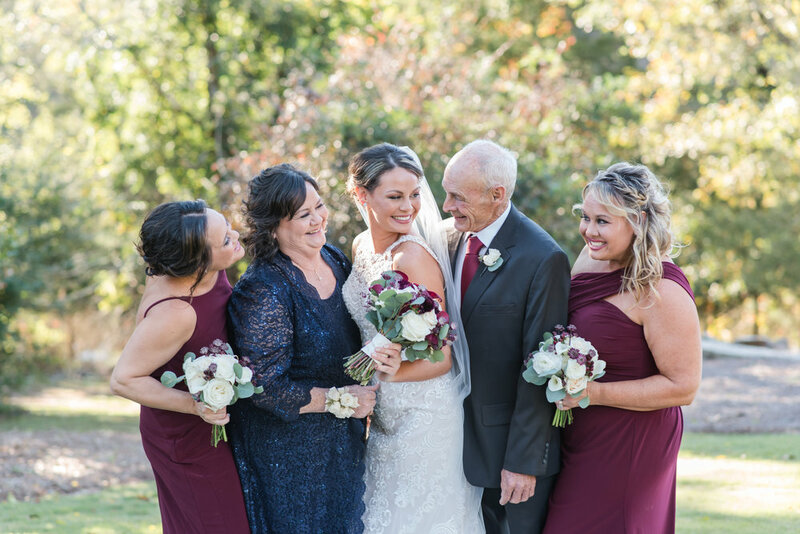 Before Brad came into the picture, Brittany’s family was rocked by tragedy when her brother-in-law, Stephen, who was married to her sister Dori, was killed in a car accident. I remember that day and even where I was…my husband and I were driving to an event when a mutual friend sent me a message. I was stunned. Dori and Stephen were high school sweethearts, and Dori was left with their baby daughter to raise. This tragedy greatly impacted Brittany, and for a while, she closed off her heart—she never wanted to have to walk the road her precious sister had. Meeting and spending time with Brad changed that outlook, and Brad was the one who taught Brittany that it was okay to love someone deeply. When I hung out with them at their engagement session, I was struck by how attentive and sweet Brad was to Brittany. He was everything April described—a soft-spoken, sweet gentleman who was quite smitten with his lively, vivacious fiancee. 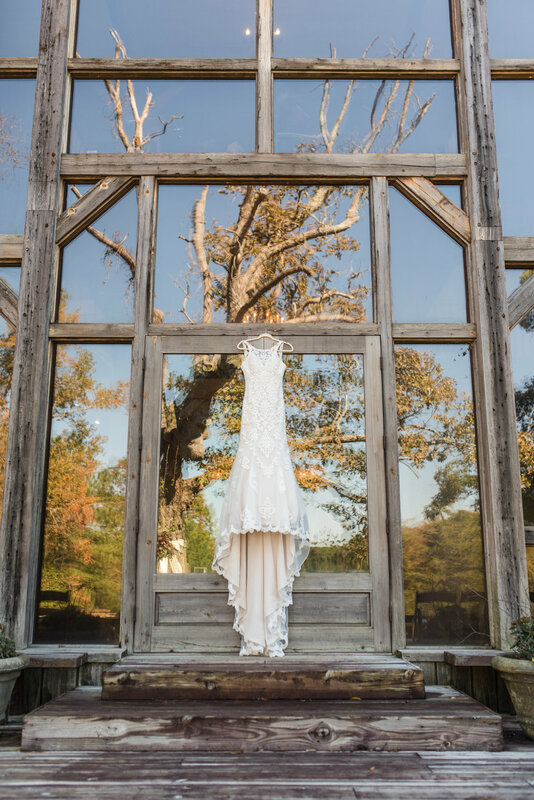 Their wedding day took place on November 3 at Fairweather Farms in Monroe. It was a gorgeous, cool fall day when I arrived, and as always, I set to work on the details. 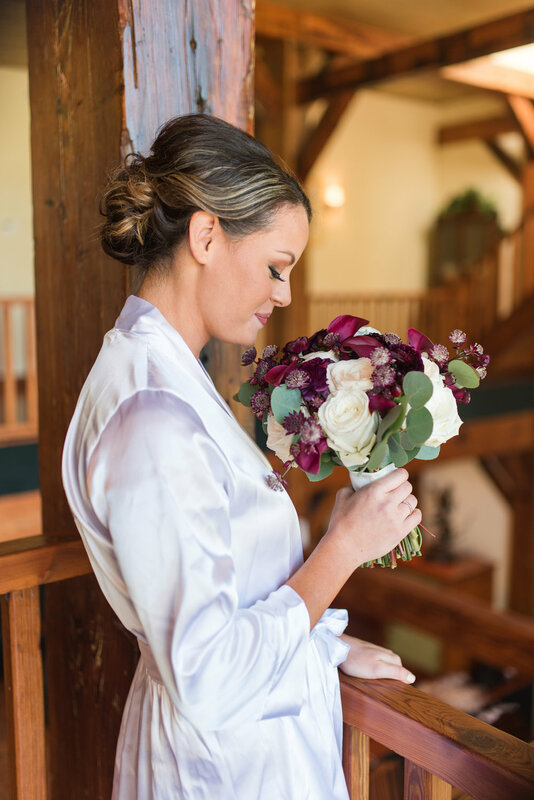 Brittany’s colors were beautiful and perfectly blended with the fall colors outside the three story lodge where the bridal party was dressing. There was a wall of windows overlooking an ancient oak, and beyond that was the lake. After bridal party photos, it was time for the daddy-daughter first look. 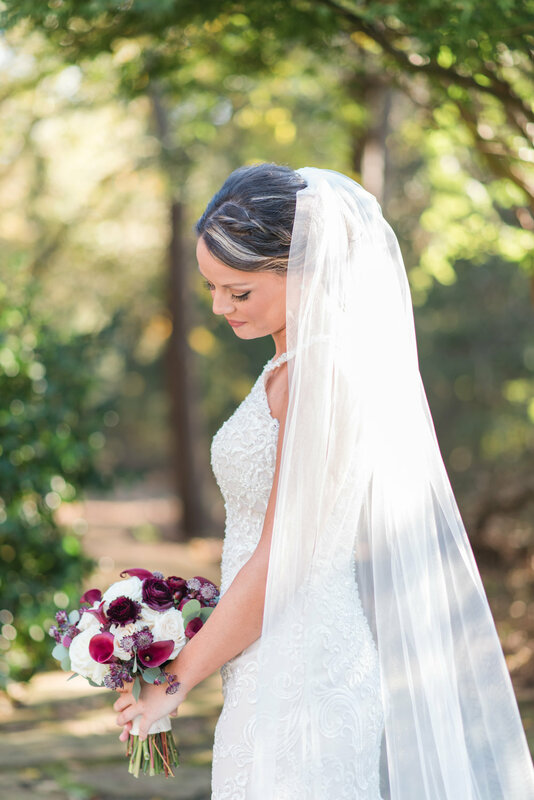 Brittany was the youngest Banks girl, and when her sweet daddy turned to take in the sight of his baby girl dressed in her wedding gown, he immediately slipped on sunglasses to hide his tears. Their ceremony took place under the curved branches of the oak. Brad was all smiles as Brittany was escorted by her father down the aisle, and after putting together a rustic cross to represent God in their union, they sealed their vows with a kiss. We were in a rush to get photos before the sun set, and after the family and bridal party photos, Andrea, the property manager, had her SUV running and waiting to drive us to the top of the property for photos. We shot some gorgeous photos by the oak tree and when we were on the way back, we all smelled a strong smell…and then watched as a skunk ambled out of the tall grass! I have to say, that was a first for me when shooting a wedding! 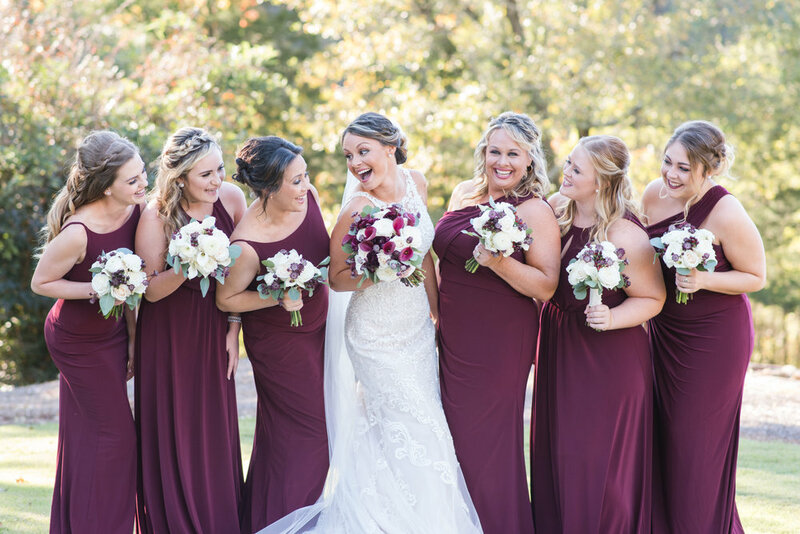 The reception was a cozy gathering of close family and friends…a fire lit up the center of the room and vintage lights were strung all around the room. 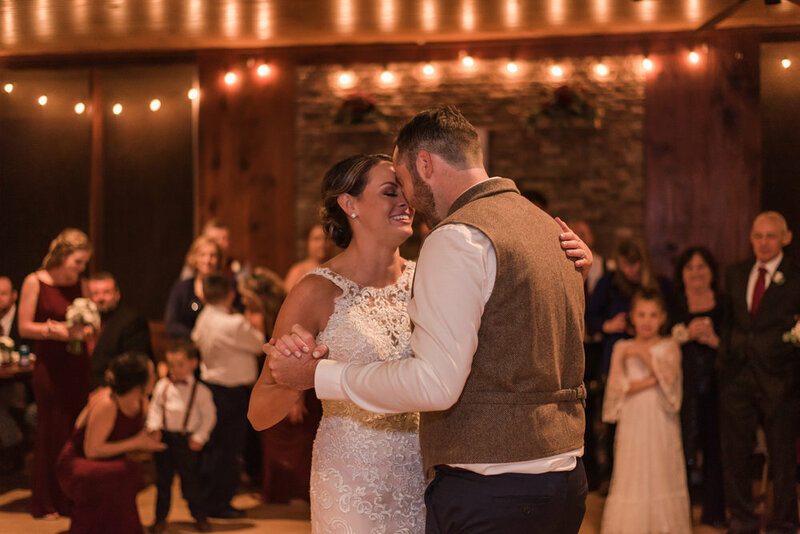 Brittany and Brad shared their first dance as husband and wife, and then Mr. Banks cut in for the father daughter dance. Brad danced with his mother and the guests spent the rest of the evening chatting, eating, and hanging out at the milkshake bar. 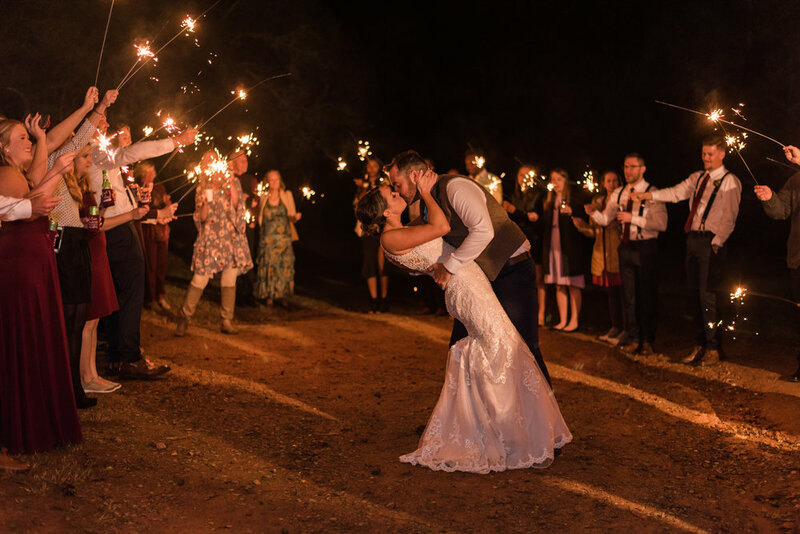 A sparkler send off concluded the beautiful day, and Brad and Brittany began their happily ever after! 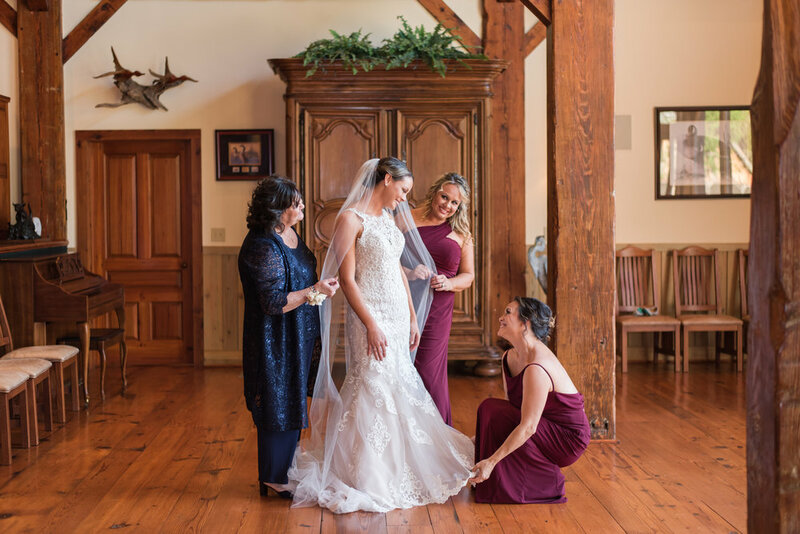 I am so honored to have been able to be a part of Brittany’s special day…it truly meant so much to me to be the one who got to capture these images for her! Brad and Brittany—I wish you a blessing-filled marriage! Congratulations!